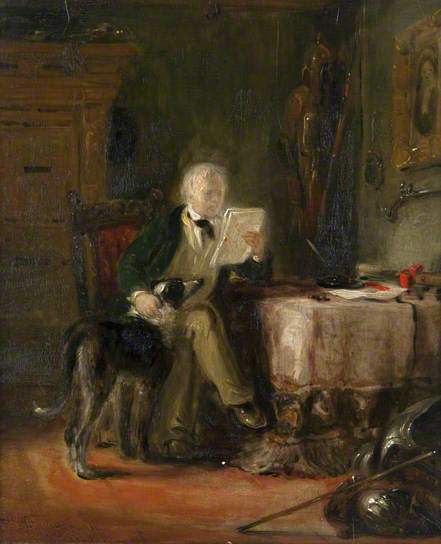 I have found a web site with interesting informations over Sir Walter Scott and his favourite dogs. Last Edit: 8 years 2 weeks ago by Joerg Yoki. This is an interesting website and I love the Grant painting! Thanks for posting this link! Sorry Maida was a dog - named presumably after the battle. nannyogg wrote: Sorry Maida was a dog - named presumably after the battle. I have found this informations about the Battle of Maida in the internet. "The Battle of Maida on 4 July 1806 saw a British expeditionary force fight a First French Empire division outside the town of Maida in Calabria, Italy during the Napoleonic Wars. John Stuart led 5,200 British troops to victory over about 6,000 French soldiers under Jean Reynier, inflicting crippling losses while incurring relatively few casualties. Maida is located in the toe of Italy, about 30 kilometres (19 mi) west of Catanzaro. 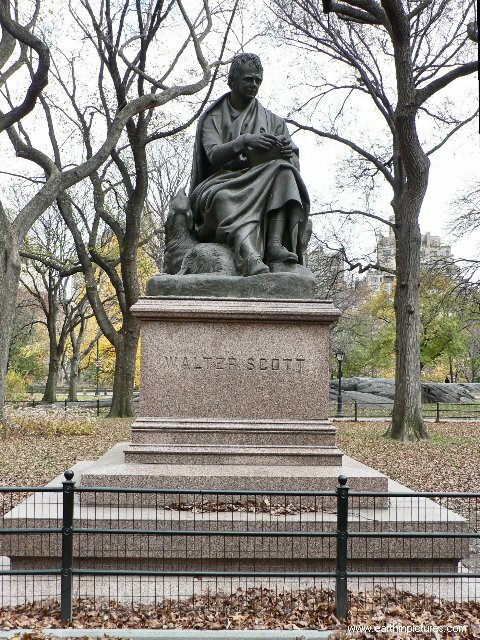 ..... ...."
This is a link to pictures of the Walter Scott statue with Maida in the Central Park (New York). Last Edit: 7 years 6 months ago by Joerg Yoki. Here is link to a very great picture of the Sir Walter Scott monument with Maida in East Princes Street Gardens in Edinburgh. 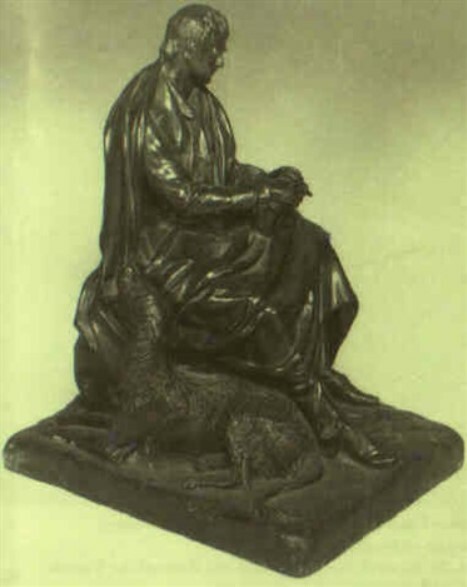 I think Sir Walter Scott's Maida is in the Deerhound lines (?). S.DOBELL'S MAIDA is the Grand daughter of Sir Walter Scott's Maida. Last Edit: 3 years 3 months ago by Joerg Yoki. Title: Memoirs of the life of Sir Walter Scott, bart. …..I have little domestic news to tell you Old Maida died quietly in his straw last week after a good supper which considering his weak state was rather a deliverance. He is buried below his monument on which the following epitaph is engraved though it is great audacity to send Teviotdale Latin to Brazen nose Maidae Marmorea dormis sub imagine Maida Ad januam domini sit tibi terra levis Thus Englished by an eminent hand Beneath the sculptured form which late you wore Sleep soundly Maida at your master's door. ...’ END. Last Edit: 3 years 2 months ago by Joerg Yoki. I saw this auction on the internet.